Is There Enough Room For Women In Vocational Ministry? When I graduated from divinity school in 2008, I was filled with the excitement that consumes many graduates, namely of finding a job in the field for which I had spent so much time preparing. I began looking for a ministerial vocational place where I could exercise my gifts and learning. However, after several months of not finding a job in ministry, I settled for an internship position at a Baptist newspaper doing work that typically a 20- or 21-year-old college student would be doing. It was humbling. And a little embarrassing. I thought my degree – a M.Div. – from a reputable divinity school would place me on a fast track into ministry. I was wrong. Although I am extremely thankful to the managing editor of the newspaper for giving me work when no one else would, not to mention the internship eventually turned into valuable full-time work, this experience laid the foundation for questioning my call to ministry that I was so certain of at age 15. Did I really hear the voice of the Lord call me into ministry? Or, was this a call born out of a desire to give my whole self to the Lord no matter what vocational form it took? Had I just wasted time and money training for something where there is no work for someone like me? Liz, like myself, felt called as a teenager and went on to seminary to train for this calling. During her years at seminary, though, she encountered some obstacles that put into question her calling. To be sure all Christians are “called to live an intentionally gospel-saturated life” and I have often wondered if what I interpreted as a vocational ministry call was actually just this – the call of every believer. And for Liz this is her conclusion, a reinterpretation of her calling, and this is a conclusion that many women are arriving at. Perhaps it is a simple case of a misunderstanding of calling. But as I have been reflecting on the issue for the last several years I am coming to a different conclusion. 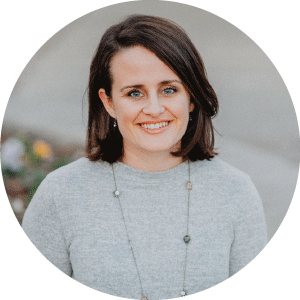 While to be sure there are both men and women who mishear or misunderstand a call to vocational ministry, I believe that many women are questioning and redefining their call as a result of a lack of a vocational space for women in ministry. Historically, Christian ministry has been mostly a man’s world. This doesn’t mean that it is a man’s-only-club where women aren’t allowed. It does mean that there are fewer jobs for women and fewer women in certain spheres of ministry. Sadly, too often the conversation has been on what women cannot do. As a result, the conversation we are not having sufficiently is how can we create a larger space for women in vocational ministry. I think the first step toward creating a larger and more welcoming space for women in vocational ministry is by simply having the conversation. Pastors, denominational leaders, seminary presidents and deans, publishers, and presidents of Christian entities, my hope is that you will be leading the way in discussing what women can do and how valuable they can be to reaching the world with the gospel and strengthening and discipling God’s church. I am not talking about a revolution in the church for women to be accepted as senior pastors. Scripturally, I am not convinced that this should be done. Rather, I believe by building on the following statements, the Christian community can begin to have intentional conversations about how we can create a larger vocational space for women called to ministry. The Imago Dei is complete in both men and women. This means that both men and women are needed to display the image of God. The Imago Dei isn’t confined to marriage but extends to all areas of life, most importantly the church, where men and women are complementing each other in displaying the image of God. Women are important to the work of God. Women, who are teaching Scripture and representing God and the gospel to his people as a vocational ministry, need to be theologically trained. Even when men are taken out of the equation and who is left are women and children, they, just as much as men, need to be taught sound doctrine by sound, theologically-trained ministers. Further, I want to see intentional, balanced, Gospel-centered conversations about women in ministry turn into intentional acts of using women in ministry. The following are some suggested conversation starters and practical ways to create a larger vocational space for women in ministry. How can we broaden the vocational space for women in churches? Most churches have either no woman on its ministerial staff or one or two at best. Many times the churches that do employ women on staff will be at a larger church where the ratio might be 10:1, men to women. Let’s look closer. Vocational ministerial jobs (not secretarial or administrative) for women are often part-time, underpaid and do not require any theological training. In order to make vocational room for women, one suggestion is when there’s a ministerial position open for which a church has no biblical objection to hiring a woman and when it already has a male-only staff, it could choose a woman for the job instead of a man. Other suggested changes are to hire women who have theological training, create full-time positions, pay women ministers at the same or similar salary to the men in comparable positions, and intentionally use female ministers’ gifts even if it takes her outside her job description. Perhaps place her alongside the male ministers for the response part of the Sunday service. Ask her to read Scripture or pray during the service. Ask, What are we communicating to the world and Christian community about the importance of women in ministry by whom we hire and the positions for which we hire? How can we make vocational space for women in Christian publishing? Often time women are published based on their marketability rather than their credentials or quality of material. Also, the field for publishing Christian women seems to be much more competitive than its male counterpart thereby making it more difficult as a woman to get published than a man. One suggestion is for publishers to work with seminaries to find its best women graduates who feel called to teach and who are solid theologically to write for them. I can count at least 5 women who I know and who have graduated from Beeson who just want to write Bible studies but cannot find an open door into publishing to do so. Perhaps publishers can do a better job at engaging in intentional relationships with the female population of seminaries and divinity schools so that they are cultivating the next generation of women writers who will give them the best material possible and so that they are communicating to women who follow through with training that it is of value. Through these partnerships publishers could invite seminary female students to its conferences and events giving them opportunities to teach. Ask, What are we communicating to the world by who and what we publish? What are we communicating to young females about the importance of theological training for publishing? How can we broaden the vocational space for women within seminaries and divinity schools? Consider evangelical Christian studies departments at colleges and universities or consider seminaries and you will find a small number of women on faculty. Perhaps you will find no women. Consider the female population at seminaries and you will find it is very small. Also, consider what degrees are being offered to women. Two spheres within Christian higher education are highlighted here: female faculty members and female students. A simple solution to both is for Christian institutions to intentionally hire more female faculty members and recruit more female students. Ask, What conclusions can be drawn by the outside world when it looks at the faculty and student population of seminaries? Would it be that it is a man’s world? Is there any value to female students taking courses like biblical theology, biblical languages and preaching courses in preparing them to teach Scripture even if only to other females, youth and children? What are seminaries and divinity schools communicating about the importance of women in vocational ministry by whom it hires, recruits and the degrees/programs offered to women? Are we only training ministers to teach sound doctrine to male Christians or are we training both male and female ministers to teach sound doctrine to both genders and to all ages? Are we, the evangelical community, guilty of creating and abetting a system that makes it difficult and sometimes impossible for God to use women in vocational ministry? Are we limiting what God can and wants to do through women by simply not having a big enough space for them to serve? What blessings as a Christian community are we missing out on simply because we are not having a conversation or taking positive steps to engage more women in gospel-ministry work? I believe our churches are only as strong as our weakest members. I believe that together as men and women we make up the Imago Dei, and therefore, we can do better. I believe that as we watch the salvation story unfold from Genesis to Revelation and see how God intentionally uses women far and above the cultural boundaries of the day, we can do better. I believe that it doesn’t follow that just because a woman should not teach men means women and children should be taught watered-down theology or Scripture. I believe that because many women are being taught watered-down theology and pop-psychology tinted Scripture we have created an environment where false teaching is growing easily and quickly among women. I believe we should expect the same training of women as of our men. However, unless we have places for our trained, called women to go and serve, receiving theological training does not make sense. Getting into debt for seminary without the possibility of paying it off while using the degree is unwise. And like Liz, women like us who once felt a call to vocational ministry might just conclude that we misheard the calling. To be certain, I do not judge or fault Liz for reaching this conclusion. We must assume that as God has revealed more over time to her that she did not necessarily hear a call to vocational ministry. What if there was more room at the vocational ministry table for women to sit? What would happen if theologically-trained women had more places to go exercise their calling, gifts and training? What if? Would there be less questioning, less redefining of ministerial calls among women if the ministerial vocational space were only bigger? What is the Church and the World missing out on by the Christian community failing, to some degree, to engage, encourage and train up more women for a ministry of the gospel?